Vizsoly is that place among the Hungarian townships, which you must visit mean by all once in your life. If we arrive from Abaújszántó we can meet by our eyes a beautiful, nice landscape by looking around from the hill of Dongó. In the valley of Hernád the houses of Vizsoly are lurking and only the steeples are towering above. 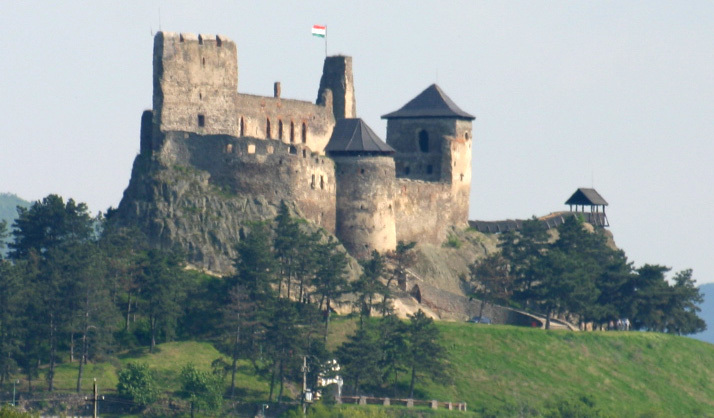 If we lift up our look from the roofs of the houses, from the spires and from the bushy alley, showing the way of the river, we can see the mountain chain of Eperjes-Tokaj with the castle of Boldogkővár and the ruins of Regéc castle. Opposite to us, over the Hill of Cserehát, with its slight bends, the Ore Mountains of Gömör-Szepesi are manifesting themselves. Vizsoly had already been the seat of the Queen and of the jurisdiction in the 12th century due to the fact that it was the meeting place of the trade ways at that time, where even Aba Amádé palatine and Perényi Miklós judged. Vizsoly was titled as market town in the middle ages. 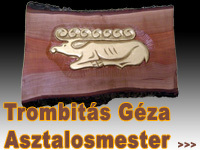 This rank can be thanked for the importance of the bridge, built on the Hernád, for the passageway to Kassa, Poland and Russia and for the two-ways directing into the Zemplén mountains. We can find among its holders such important names as Rákóczy Zsigmond, the funder of Rákóczy dynasty, the determined Turkish-fighter, Mágocsy, and the families of Semsey and Keglevich. The walk in Vizsoly is still reviving on its tided streets and intimate main-square. The village plays an important role among the settlements around due to its central role of institutional and infrastructural development. 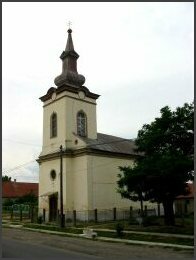 The oldest church in Vizsoly is the reformed church from the Árpád-age, which is squattish and puritan outside. It has a squared layout based on its 3 space-units: the steeple, nave and sanctuary. Its hidden axle connected to the sanctuary is half-bowed. It must have already been built in 1220 according to the documents, which are talking about "church Vizsoly". 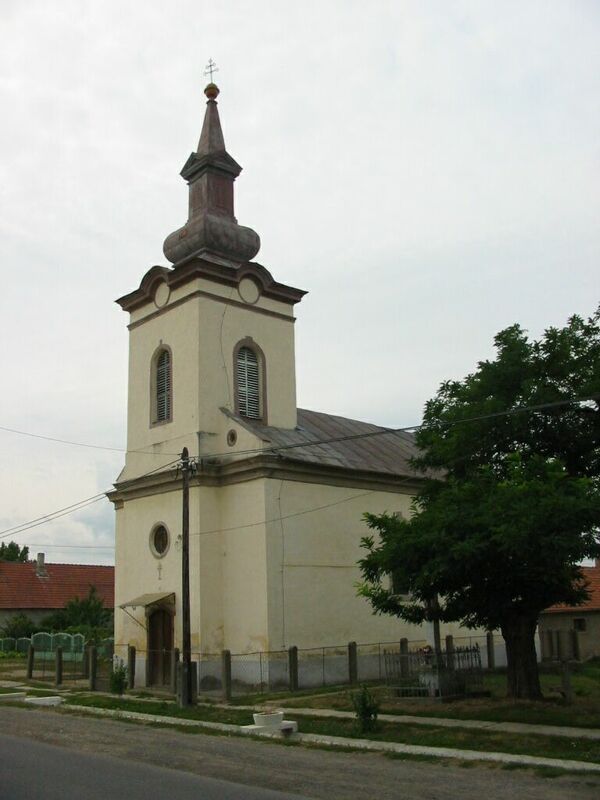 The church was in the property of Catholics at the very beginning but from the middle of the 16th century, it became the place of the reformed worships. There were smaller modifications on the building during the centuries. Its greatest donation was during the last restoration when the murals were revealed from the middle ages. These murals have been considered as the great national heritage of us and these are showed to the pilgrims who visit the cradle of the Bible of Carol. At the same time we are to protect them for the future generation. One of the original edition of the Bible of Vizsoly can be seen in the reformed church. 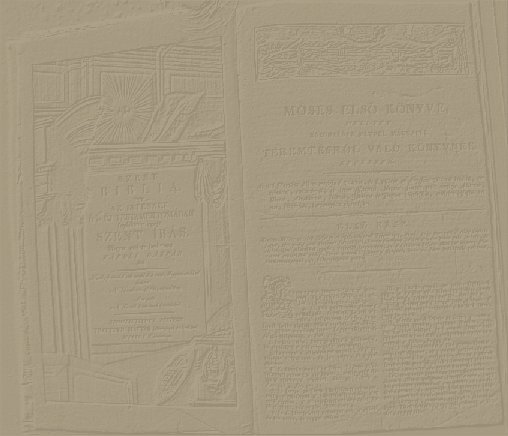 Original...Your heart just pumps, your fantasy began to dream up and You began to think of the pupils on foot or by carriage who were taking the papers from Göncz to Vizsoly to the press, the translated sheets of the Holy Bible, and the first printed editions back day by day. We can mention the name of Szenczi Molnár Albert among the handwriting carrying pupils, who writes about these years later in the following way: "and I was working at the foot of that straight, honest man, Caroli Gaspar, of that preacher from Vizsoly"
This was the way how the first Holy Bible in Hungarian was created and in 1590 the first full edition appeared. This book was the only Hungarian classic, masterpiece during the centuries for thousands of people. 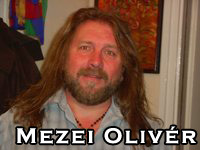 Rákóczi Zsigmond brought the typographer, Mankovits Bálint, together with his workshop to the village. Characters were transported from Germany and paper from Poland. So, the first wholly Bible in Hungarian language could become a prominent, world-famous major achievement of the national literature - and printing history. There is an exhibition about the latest editions of the bible of Carol in the church. The Bibles were made between the years 1608 and 2006 in different European presses: in Hannua, Várad (Oradea), Kolozsvár(Cluj), Kassel, Pozsony and Budapest. The newest printed Bible is always changed to the oldest edited one, calling the attention to the fact that the Bible is not an object from an exhibition case of the museums, but the God's, still today living and operating, words. The new Roman Catholic Church was built by 1799. The altar-piece was painted by a Dutch painter, which reflects Jesus' baptism. The Dutch artist also made the picture of Saint John from Nepomuk in the 18th century. An Italian artist made the pictures about Jesus, which shows with an intimate sincerity the cross-death of the Savior, and the wooden crucifix of Virgin Mary, in Baroque style. The church was renovated many times; it was reconstructed inside and outside last in 1991. The local Greek Catholic Church was built in 1901 from the local worshippers' donation. The nave length of the church is 17 meters and its width is 7 meters long. Its sanctuary made from ceramic looks toward West and its oak door is made in Roman style. Its suspended ceiling with its 6 candles is a beautiful scenery. The gospel book can be seen on its altar, under it there is the shrine made from textile with the relic sewn in it. 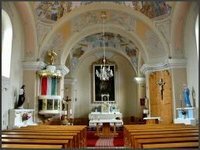 There are two canvases here, one with Virgin Mary-as the church was hollowed for Her adoration- the other shows the baptism of Jesus Christ. The saint thumbnail was made in 1996, which specialty is that even the picture from Carol Gáspár can be found on the picture. It was built in Baroque style in the second half of the 18th century and it has been renovation. Even today it has the original function as in the past. The quarry became a geological exhibitory place and it had formed as the result of the miocen age of the Earth history. The serpentine river in the border-line of Vizsoly village is the Hernád river, which offers a pleasant possibility of relaxing for those visitors who are fond of the water-tourism. 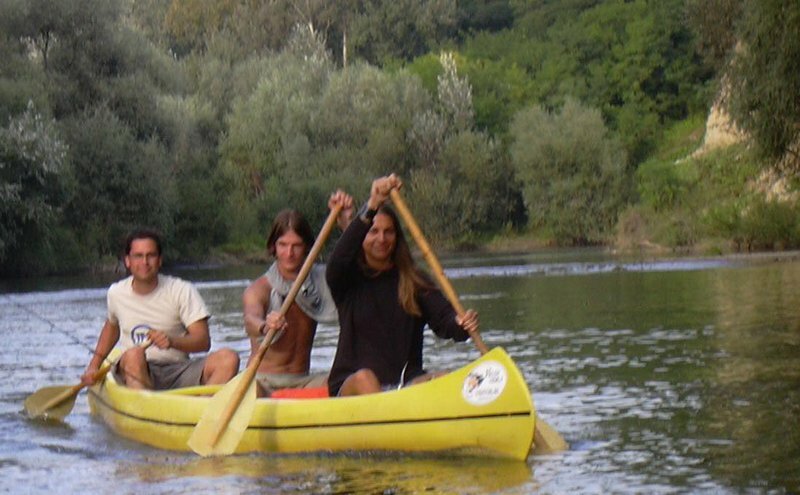 The campers can enjoy the bathing at the bank of the river, can try the rafting and kayak. But those who are fishing-lovers can leave this place with a rich fish-catch. 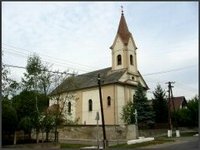 Vizsoly, the Cradle of the World-famous Bible of Carol is in Borsod-Abaúj-Zemplén county, 60 km far to North from the county-seat of Miskolc. It lies in the valley of Hernád, near to Encs, Abaújszántó and Gönc towns, in the vicinity of the castles of Eperjes-Tokaj mountain chains in a beautiful natural surrounding. Vizsoly is reachable from the high street number 3, it is 4 km far from Novalyidrány, but it has a direct connection with the villages of Zemplén. It is situated 25 km far from Szerencs, too. 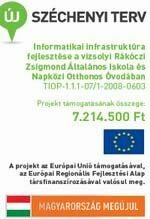 Its railway station is reachable from the direction of Szerencs , on the line of Szerencs-Hidasnémeti and from Miskolc on the line of Miksolc-Hidasnémeti as well.